Dixville Notch is one of those villages you hear referenced occasionally in New Hampshire as an example of someplace really remote. 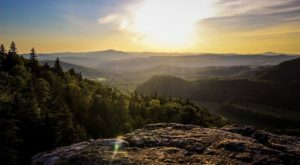 Of course, in election years you’ll hear the words “Dixville Notch” thrown around quite a bit, but there’s much more to this village than a pin for an overeager pundit to point to on a map. The history and traditions of this spot are definitely worth exploring. 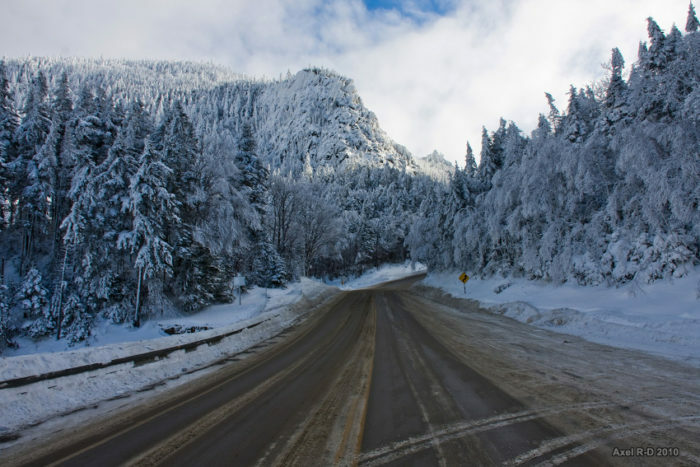 Tucked into the White Mountains, and overlooking Lake Glorietta, Dixville Notch is an unincorporated community within the township of Dixville (though all of Dixville's residents live in Dixville Notch). As of the 2010 census, the town only had 12 residents, a sharp decline from the 200 census, when it had 75. 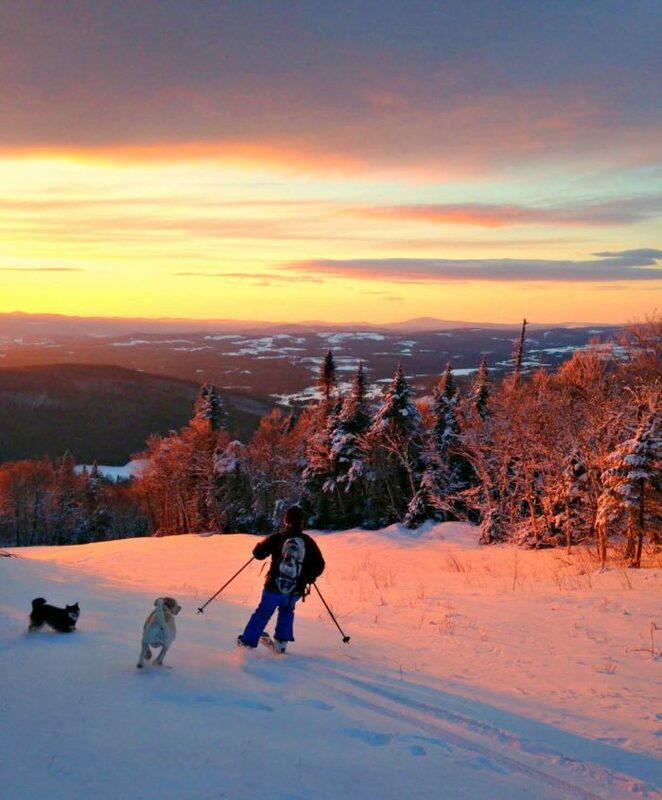 In Coos County, Dixville is far off the beaten path. Of course, this remoteness means it's stunningly beautiful, especially in the fall and winter. 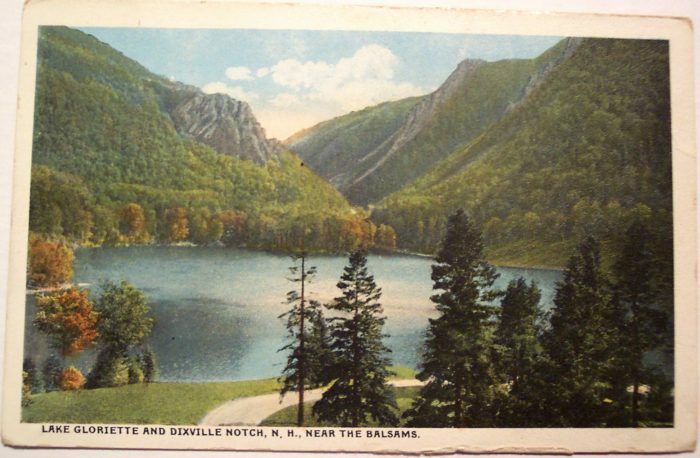 The biggest draw to Dixville Notch is the Balsams Grand Resort Hotel, which has been operating since the end of the Civil War. 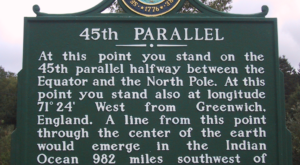 These days, the resort is known as the location of Dixville Notch's midnight vote. Since 1960, all of Dixville Notch's registered voters have gathered at midnight in the Ballot Room at the Balsam to cast their ballots in the presidential primary and general election. The polls are closed as soon as everyone has voted, which sometimes only takes one minute. 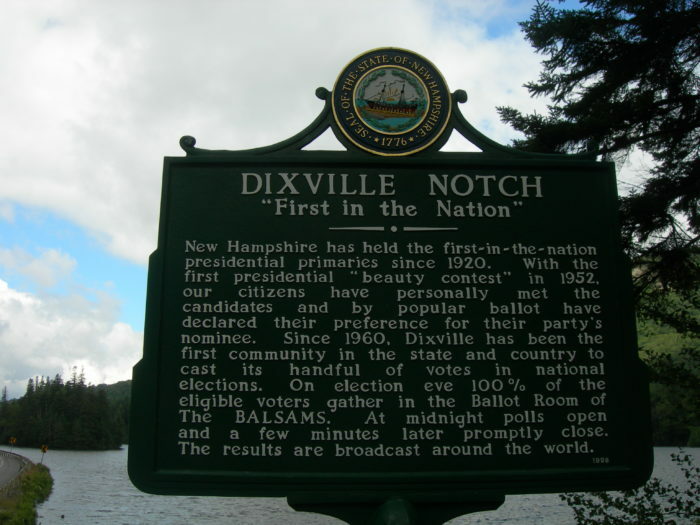 Since New Hampshire has the first in the nation primary and Dixville Notch is often the first to report results, it gets plenty of national media attention. But politics aren't the only reason to visit! The village is also home to the criminally overlooked Dixville Notch State Park, which has some of the most gorgeous trails you'll find anywhere in New England. 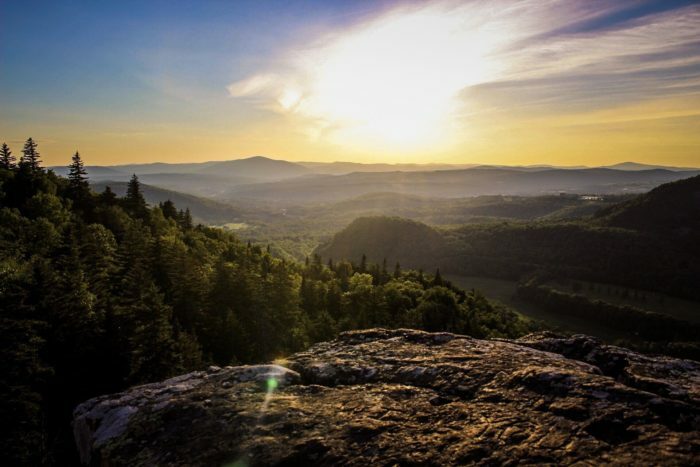 Climb up to Table Rock for views that stretch for miles and miles. If you want to see this peaceful, nearly empty community before it changes, come soon. 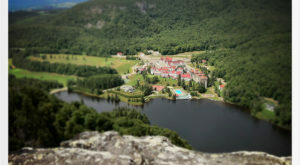 The Balsams Resort is currently closed for renovation, and the plan is quadruple the current ski area and turn it into one of the biggest resorts in the Northeast – so Dixville may not be so sleepy for long. Looking for a snack North of the Notch? Check out this incredible bakery in nearby Colebrook.